I will apologise now in case this post makes you extremely hungry! When I was diagnosed as gluten intolerant one of the main foods I knew I would miss was Ravioli. 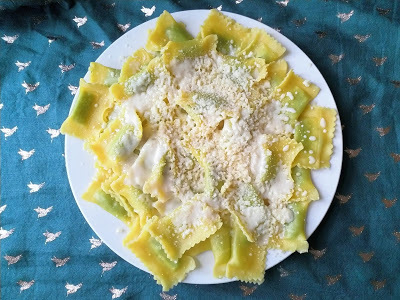 As a child, I had a grown up eating ravioli with my family, usually on a Friday as it is quick and easy to cook after a long week. We would all chat about our week, the good and the bad as well as our plans for the weekend ahead! Ravioli reminds me of those family meals so has always been a comfort food for me. As well as tasting delicious! 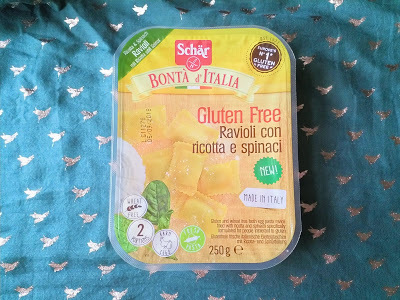 All my prayers had been answered when Schär brought out their gluten-free ravioli. I squealed in excitement when I saw it! It cooks in just two minutes and has the same texture as normal Ravioli. The filling is creamy and has a subtle taste of spinach. I normally have mine topped with vegan cheese. It is the perfect pick me up at the end of a long day! What is your favourite gluten-free food?